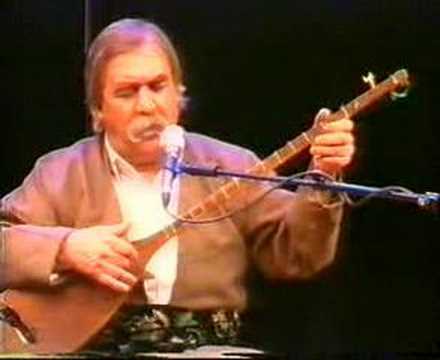 the tanbour solo you see in this video has been recorded on the reference class tanbour of santoori, which was made by famous tanbour workshop. 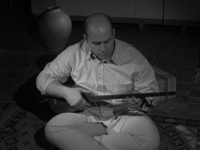 Santoori is very thankful for the very kind cooperation of Mr. Khosravi, who enabled Santoori to publish this tanbour solo. 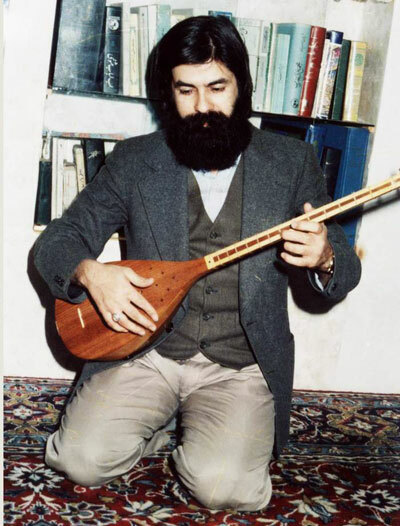 Tanbour with its different transcription and transliteration forms like tambour, tanbur, tambur, tamboor or tanboor, refers to various long-necked, fretted lutes originating mainly in Iranian Kurdistan. 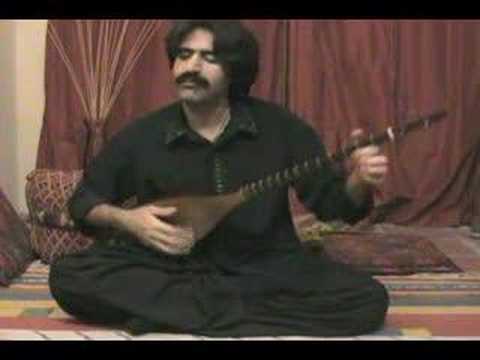 Tanbour is one of the important instruments of ancient Iran and the ceremonial and religious instrument of Ahl-e-haq community. 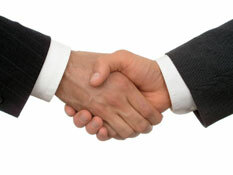 In the past two kinds of tanbour were common: the Khorasani tanbour and the Baghdadi tanbour. Tanbour is one of the few Iranian musical instruments, which is sacred. In the Zikr gathering of Ahl-e-haq tanbour is the only instrument, which can be brought to these meetings. This instrument at present used most often in the Kermanshah province, in the Kurdish regions of Goran, Sahne, Kerend, and Gahvare, and in the northern part of Lorestan. Generally wherever you can find a Yarsani community, a tanbour can be found there as well. Most of tanbours from Goran have a solid bowl body, while the ones from Sahne mostly have a striped bowl body. The oldest known tanbour with a striped bowl was made by Ostad Khodaverdi 120-130 years ago. His instruments are made from 7 strips. The holes of the top: There are some holes on the top of tanbour. The number and position of these holes can vary from one maker to the other. Frets: Tanbours of the Goran region have usually 13 frets and the ones from the Sahne region mostly 14 frets. Santoori.com offers diverse professional and semi professional quality tanbours from different regions of Iranian Kurdistan. They all are made in and shipped from Kermanshah, Gahvare, Sahne, or Kerend. Gahvare is a tanbour making town, where many people are great tanbour makers. It is a town, where the making of this instrument has its roots and tradition. Many tanbour makers copied the famous tanbour maker from Gahvare, the late Ostad Assadollah Gahvare, for solid body tanbours. The tanbours from Ostad Khodaverdi are now some of the most important patterns for striped body tanbours.